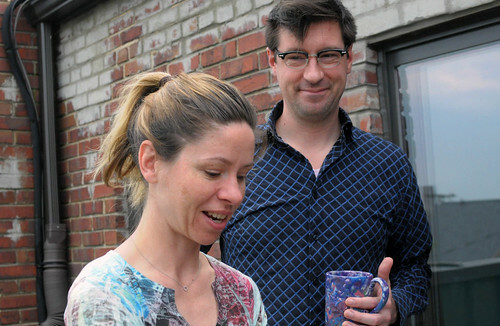 The title of this story should be something like DIY Disasters or Home Improvement Hell. I’m sure that’s how Danielle and Casey probably felt during the long, arduous 10-year renovation of their Del Ray rowhouse. Before we get into what went wrong, let’s take a quick look at the masterful finished product. 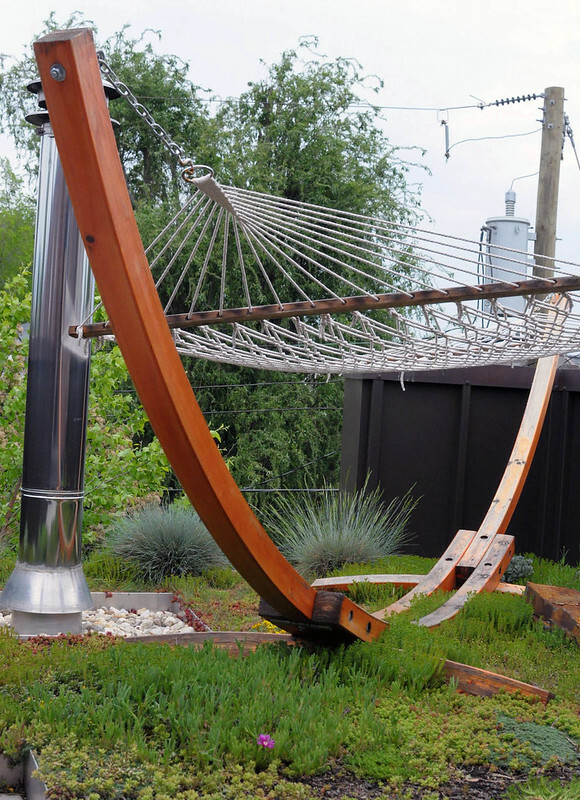 We introduced you to Danielle and Casey back in May when we shared the eco-friendly elements of their house such as the impressive green roof, 300-gallon rain water cistern and native plant landscaping. Then a few weeks later we took you inside their home to see the amazing modern addition on the back of their house and the kitchen Danielle built from scratch. We mentioned that the renovation of the home took a long time, especially with a few bumps along the way. That’s kind of an understatement. Here are a few of the “issues” they faced. 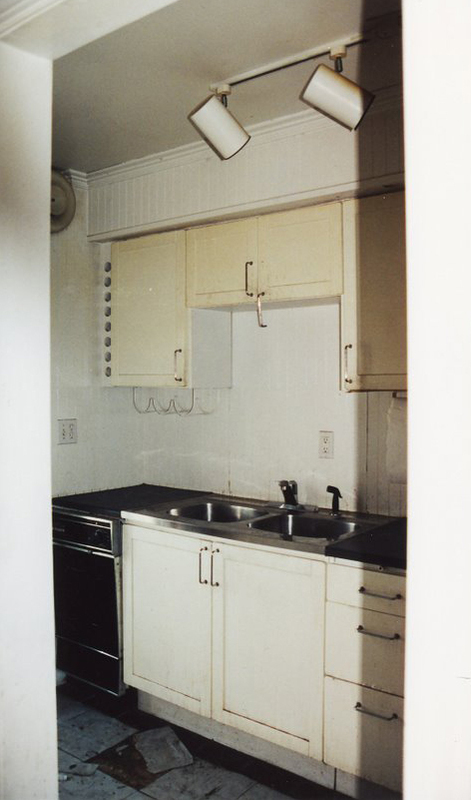 One of the early projects Danielle started was completely gutting the disgusting kitchen. The first renovation snag was finding asbestos wrapping the ducts in the wall between the kitchen and dining room. 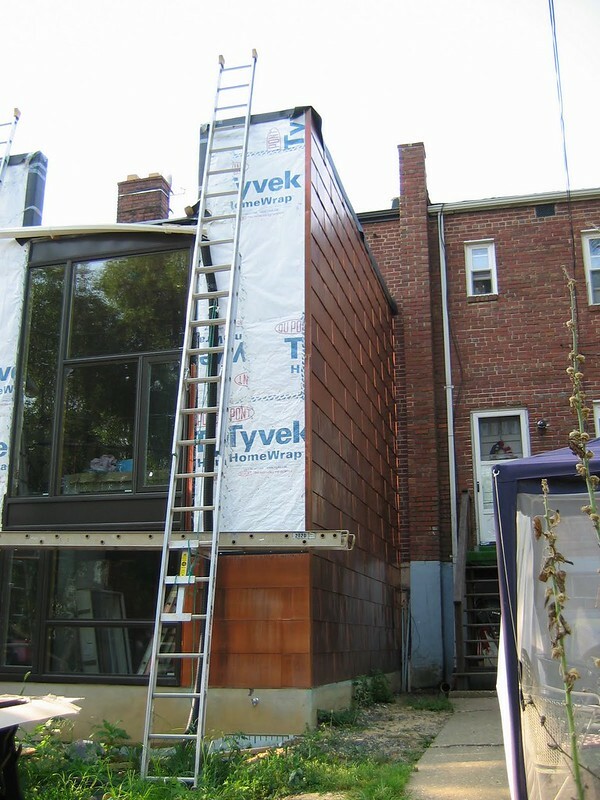 (If you’ve renovated a mid-century Del Ray rowhouse you are probably very familiar with this ugly predicament.) Waiting for asbestos abatement companies to safely remove the cancer-causing insulation, Danielle had to put her renovations on hold. 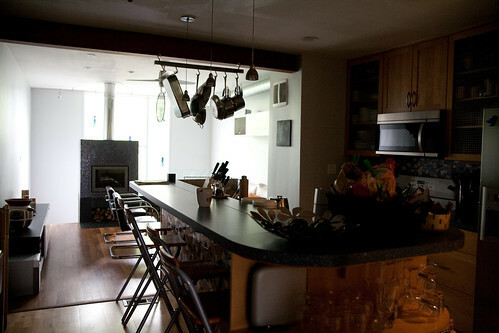 This was the state of her kitchen for the following seven months. 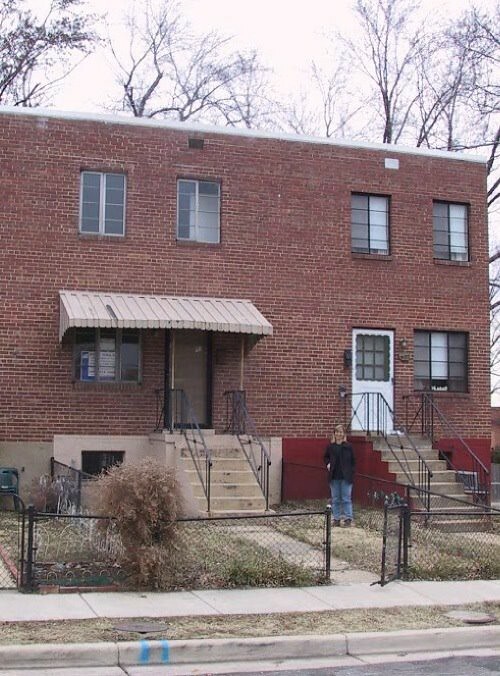 After the kitchen, Danielle and her husband Casey decided to put an addition on the back of the house. It would be a three-level addition with the third level as a green roof deck. At about month nine of this project (after a six month delay), her contractor started pouring concrete and building walls. The day before the roofer was scheduled to arrive, the neighbor’s rotting 70-foot maple tree split in half and landed on their day-old framing job. The good news is the tree also took down the Verizon line they had also been fighting to bury for months without success. Verizon came a few days later and finally did their work. 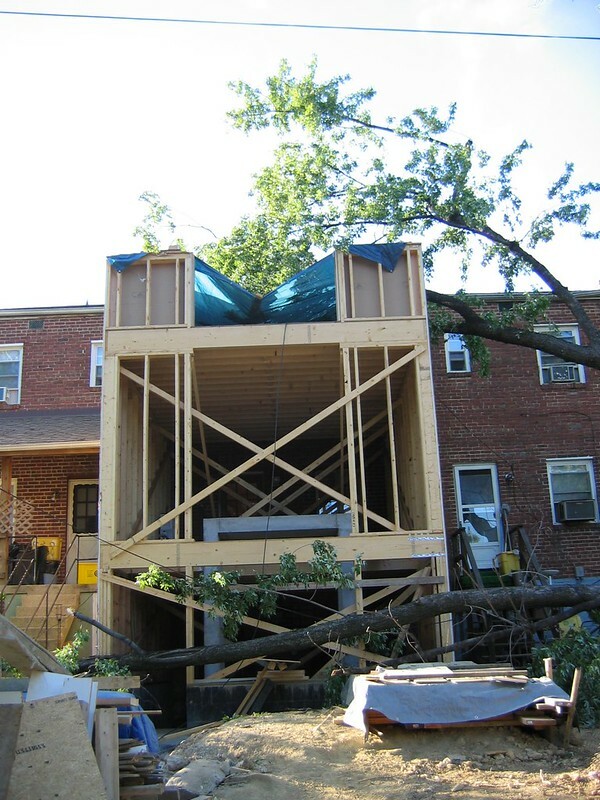 Miraculously, the framing for the addition only suffered a slight dent in the parapet wall from the tree. The bad news is this was the state of the basement part of the addition for the next several weeks: filled with a dank, rank liquid. 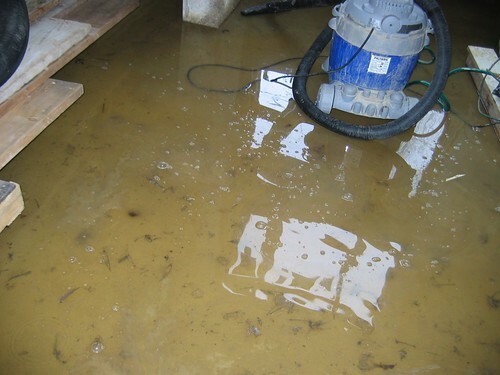 For the next few months, two or three times a day, they used a submersible pump to drain the basement. 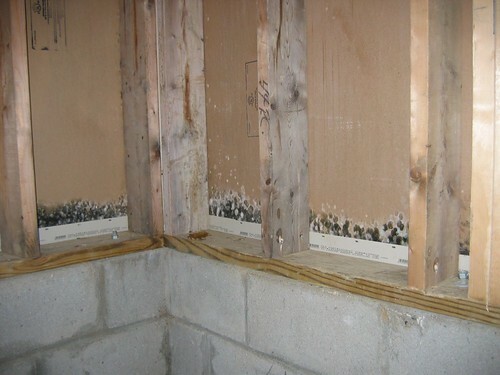 Water plus unsealed walls equals mold. Lots of unhealthy black mold. You can probably guess what they did next — they fired the contractor, filed a lawsuit and hired someone new. 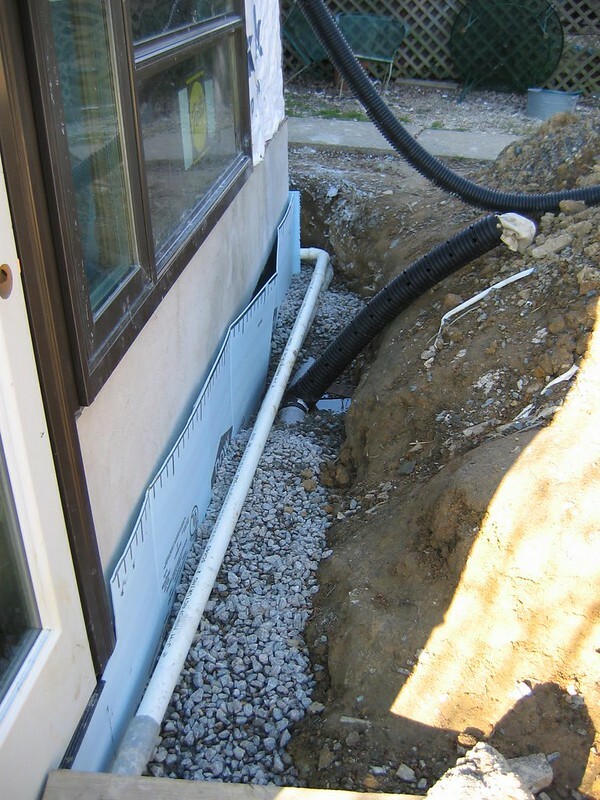 The second contractor’s suggestion for a french drain would have been a good one had he done his homework. Apparently, the contractor didn’t bother to check the grade from the addition to the alley, where the french drain was designed to exit. If he had, he would have known that there was not enough of a slope to have the water from the drain. 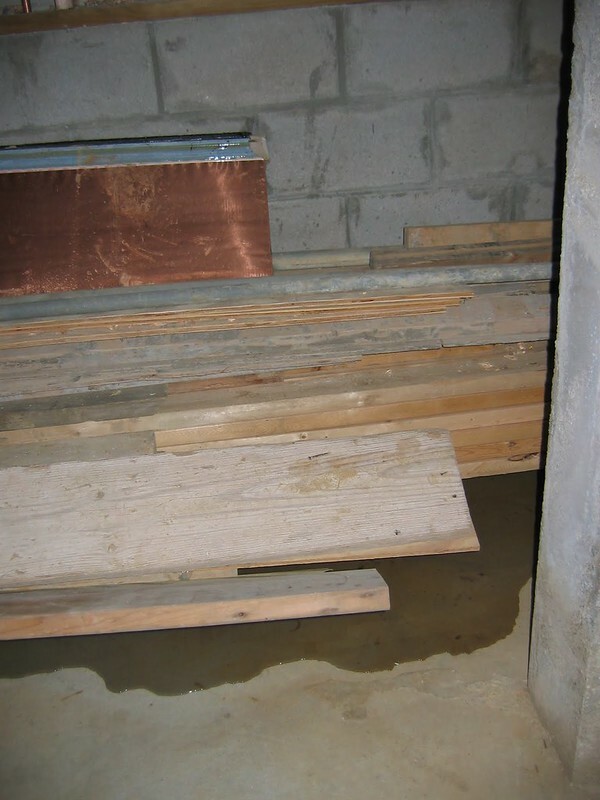 So instead of flowing freely into the alley, the sump exited below the level of the alley, which created a giant cesspool and also caused water to back up to the house and leak into the lower level. Adios second contractor. Another lawsuit filed. They finally hired MER/Morrison who were the most expensive contractor but had the best warranty and were the most highly rated. 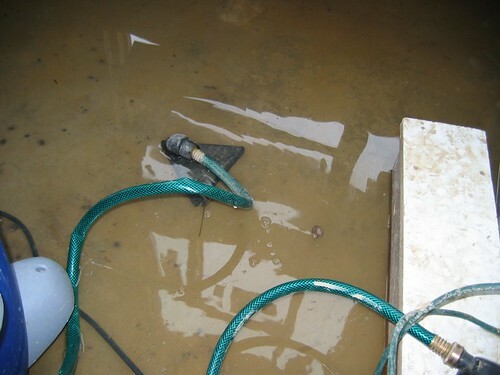 Fortunately, the third time was a charm and their basement was waterproof. From there, the renovations were finally on the right track, Danielle’s vision was finally coming to life. The transformation from a stagnant cesspool to clean (!) and modern home is nothing short of remarkable. 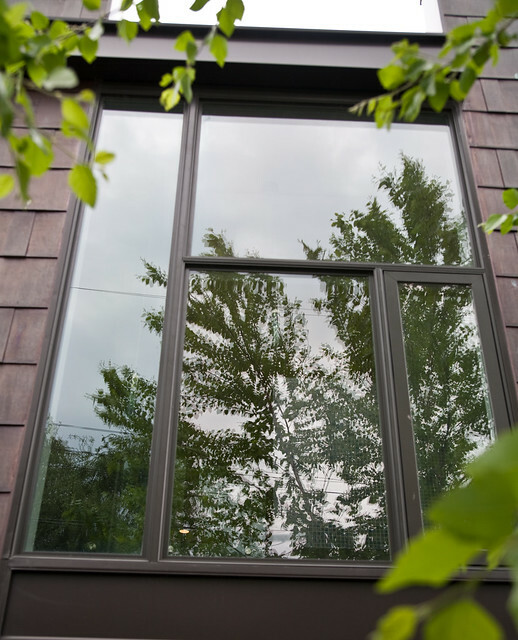 I’m not sure how they made it through with so many setbacks, but it shows how you can survive renovation hell with a strong vision and determination. A good sense of humor helps too. 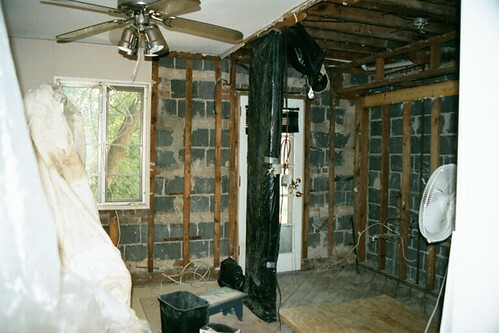 We’d love to know what DIY disasters and renovation nightmares you’ve faced. Anything on par with what happened to Danielle and Casey? For more humorous accounts of Danielle’s renovation and DIY projects, check out her blog or feel free to post a comment or question below.